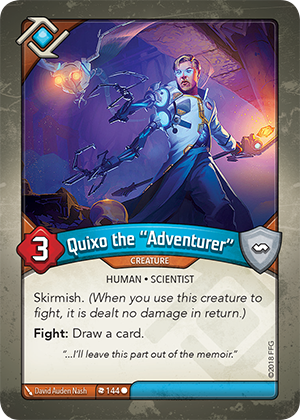 Does Quixo the “Adventurer allow it’s controller to draw a card if it is destroyed during a fight? No. “Fight:” abilities only resolve if the attacker is not destroyed.